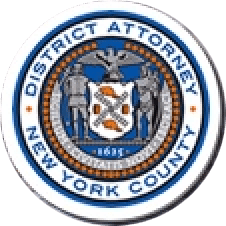 Manhattan District Attorney Cyrus R. Vance, Jr., today announced the sentencing of JAVON BURGESS, 37, to 20 years in state prison plus five years post-release supervision, for selling 26 operable guns, ammunition, and large capacity magazines to an undercover detective. On January 13, 2015, BURGESS pleaded guilty in New York State Supreme Court to Criminal Sale of a Firearm in the First and Third Degree and Conspiracy in the Fourth Degree. According to the defendant’s guilty plea and documents filed in court, from approximately February to September 2013, BURGESS sold 26 guns, along with ammunition and large capacity magazines, to an undercover detective posing as a Manhattan gun dealer. The firearms, which BURGESS obtained in South Carolina and sold for approximately $1,000 per gun, included a Tec-9 assault weapon and other semi-automatic pistols. Many of the sales took place in broad daylight and five occurred near the entrance of the Bronx Zoo. In a separately indicted gun trafficking case announced at the time of BURGESS’ arrest, Paul Lee was sentenced last year to 17 ½ years in state prison and five years post-release supervision, for selling 13 guns to an undercover police detective in East Harlem and the Bronx. As admitted in his guilty plea, Lee sold the weapons, including a sawed-off shotgun and an AP-9 assault weapon, for $550 to $900 per gun. Assistant District Attorney Christopher Prevost, Deputy Chief of the Violent Criminal Enterprises Unit, prosecuted the case, under the supervision of Assistant District Attorney Christopher Ryan, Chief of the Violent Criminal Enterprises Unit, and Executive Assistant District Attorney John Irwin, Chief of the Trial Division. District Attorney Vance thanked members of the NYPD’s Firearms Investigation Unit for their assistance with the investigation.